Garner Fritsche Engineering has the privilege of working with many outstanding facilities and engineering teams in not only the Houston area, but around the country. Today we were able to recognize one of these teams as we celebrated the close of ASHE National Healthcare Facilities and Engineering Week by serving breakfast to the team at North Cypress Medical Center. We appreciate all the hard work groups like this put into the engineering efforts of the facilities we work on and we are grateful for the opportunity to honor their efforts. 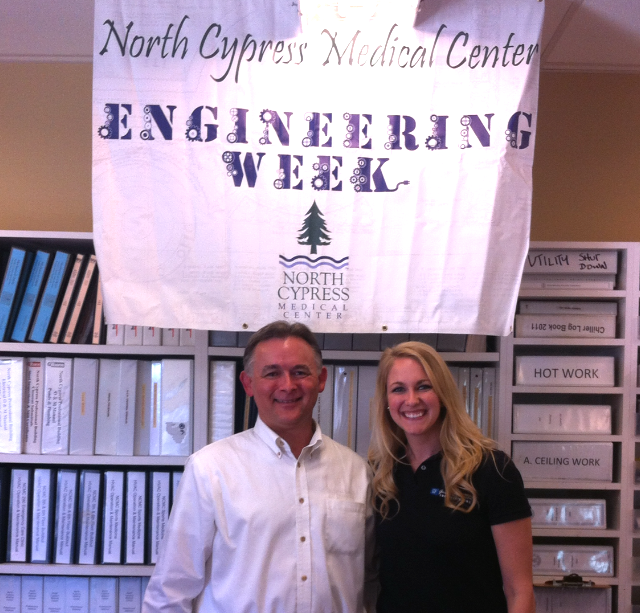 To all facilities and engineering teams – thanks for all you do! Garner Fritsche Engineering proudly announces our 11th Anniversary! Garner Fritsche Engineering proudly announces the 11th anniversary of our company! Personally, I really enjoy looking back at family videos, pictures, and scrapbooks. It is a reminder of the good ol’ days. It is a chance to go back for just a little while, then step back into the present and appreciate where we all are now... how much my family has grown and all that we have accomplished. Corporate reminiscence is different. Sure, we have had our successes and have certainly experienced healthy growth. But from this perspective, the past mainly serves as a benchmark. We focus on past efficiencies and goals and study how to improve all aspects in the future; how to avoid mistakes and improve quality; and, how to better serve our clients, the community, and the people that work for our company. The corporate past has helped us set the standard for what we strive to achieve in the future. This is what makes us all better engineers, project managers, bookkeepers, designers, and principals. So we look back on our business and make the past count. Thank you for being part of the journey. And keep the personal trips down memory lane running. They are the best! Garner Fritsche Engineering would like to thank all of our clients and business partners for a great year in 2014! In addition to all of our hard work, we still managed to have a lot of fun during the holiday season. 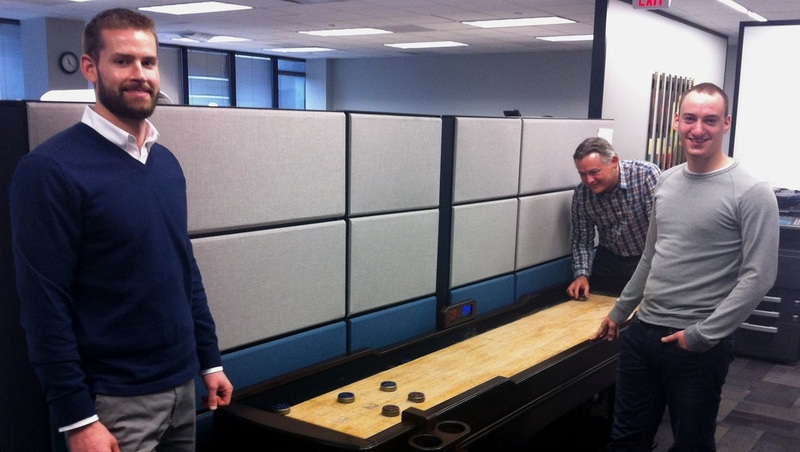 The term “work hard, play hard” took on new meaning this month beginning with our company Christmas dinner as well as the gift of a new shuffle board for the office. We’ve enjoyed spending time together in the midst of a busy season. Thank you to everyone who helped make the year a success. We are excited for the new year look forward to new endeavors in 2015! International technical society organized to advance the arts and sciences of heating, ventilation, air-conditioning and refrigeration.